I'm honored and excited that several fine art prints from my Tidal Rhythms portfolio have been accepted into the juried show "Science inspires Art: Ocean", held at the New York Hall of Science, September 2017 - February, 2018. Opening Reception: Sunday October 1st, 2017, 3-5 pm. The show is hosted by Art & Science Collaborations (ASCI), an international non-profit devoted to increasing the visibility of diverse work at the intersection of art and science. Ocean is curated by Diana Moore of the Marie L. Matthews Gallery of D&R Greenway Land Trust, an environmental, mission-based fine art gallery in Princeton, NJ, and John J. Stegeman, Senior Scientist at the Woods Hole Oceanographic Institution and Director of the Woods Hole Center for Oceans and Human Health. The group show highlights diverse perceptions of Ocean, creative visions of our deep connection to her, and feelings she inspires in us. 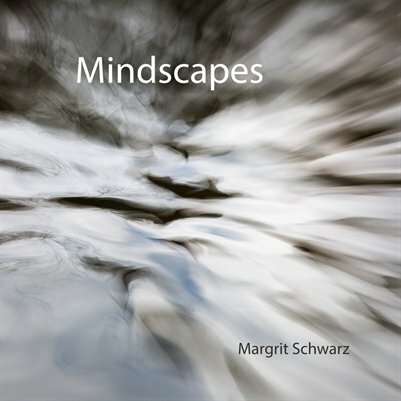 Fine art prints from Mindscapes will be featured as a solo show at Susi Laura's, a satelilte gallery associated with the Ridgefield Guild of Artists. Impressions of rhythms, mood, and spirit found in the solitude of the desert. By reducing the desertscapes to their essential features - waves of colorful light - I aimed to create a set of images that move beyond what the eye can see, and communicate a personal experience of my journey through them. A time of reflection and transition. A time to slow down and contemplate the cycle of life. A time to adjust, or burst out with energy one last time, even if the expense is futile. A time to prepare for what is predictable, and final. A time to say Good-Bye. Fine art prints from my portfolio "The Dark Side of Fall" are included in the 6th Annual Juried Member Show at the Ridgefield Guild of Artists, Ridgefield, CT. The Mono Lake Basin in the California high desert is among the most picturesque places on the planet, spiritual, inspiring, full of stark contrasts and teeming with life. Known for its outlandish tufa formations and dramatic cloudscapes, the Mono Lake Basin offers breathtaking vistas throughout the seasons - pogonip in winter, delightful grasses in summer, brilliant colors in spring and fall. But most of all, it offers peace, serenity and inspiration to those who seek it. Plese enjoy a selection of my favorite landscapes from this beautiful place. Recently returned from my journey to the Ross Sea, Antarctica, it will take me quite a while to process and comprehend the many layers of this amazing experience, and the immensity of what I have seen... But, a first glimpse is available in my newest gallery, Deep South, Thin Ice. From Invercargill, New Zealand, all the way to McMurdo Sound and back, we traveled 4675 nautical miles across the Southern Ocean, which lived up to its reputation as the stormiest place on Earth. Antarctica may be an icy desert, but the Ross Sea is teeming with life and indescribable beauty - a symphony in emerald, aquamarine and white, where time stands still. But the Ross Sea is also the most pristine ecosystem on Earth, and its existential balance is about to tip. For the first time in more than two decades, no pack ice blocked the way to McMurdo Sound. In the deep south of the planet, increasingly thin ice and irresponsible fishing practices are about to threaten survival of some of the most resilient species on Earth. Learn more about what we can do to save the Ross Sea here. As always, thank you for your interest in my work. All proceeds from online sales of prints from the Deep South, Thin Ice gallery will support the Last Ocean Project.